Maritzburg United go chasing a first win against Ajax Cape Town in the Mother City when they meet at the Cape Town Stadium on Saturday night (20H15). Maritzburg have played the Urban Warriors eight times in Cape Town, their record reading four defeats and four draws. 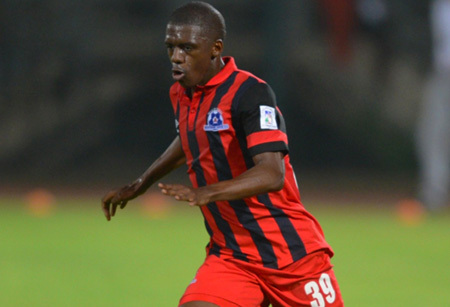 Last season when Maritzburg travelled down to the Cape, they came home empty handed after a 3-1 defeat. The reverse fixture in Pietermaritzburg resulted in a 2-0 win for United. Overall though, the Team of Choice have a close record with Ajax – in the 16 times they have met, Maritzburg have won five matches and Ajax six, with five draws. The KZN side go into the match on the back of a 0-0 draw against Bloemfontein Celtic, while Ajax lost 3-0 away to AmaTuks. Urban Warriors are in third spot with 17 points, with the Team of Choice in fourth position with 16 points. Making the challenge all the greater for Steve Komphela’s men is Ajax’s current home record, having taken 12 of 15 points in the Mother City this season. With the exception of Sibusiso Khumalo, United are expected to have a clean bill of health for this game.